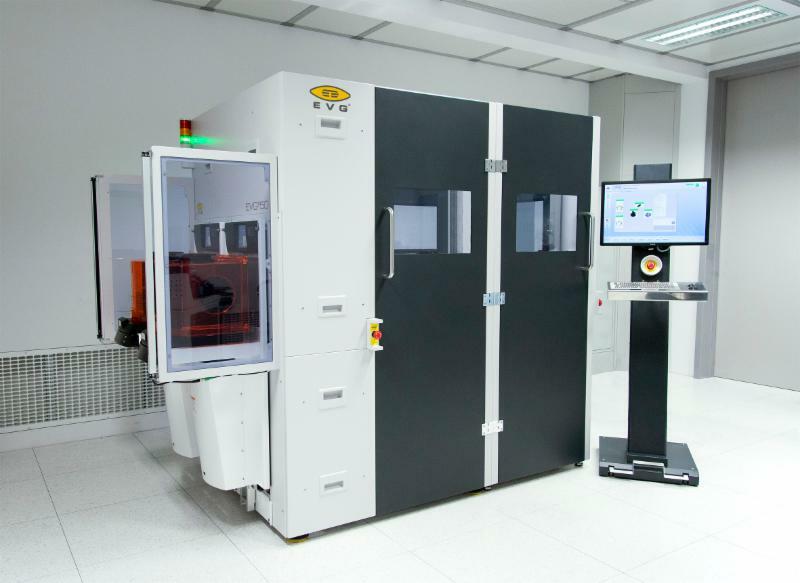 St. Florian, Austria — EV Group (EVG), a leading supplier of wafer bonding and lithography equipment for the MEMS, nanotechnology and semiconductor markets, today introduced the EVG®50 automated metrology system. Designed to support the increasingly stringent manufacturing requirements for advanced packaging, MEMS and photonics applications, the EVG50 performs high-resolution non-destructive multi-layer thickness and topography measurement, as well as void detection, in bonded wafer stacks and in photoresists used in optical lithography. The system measures layers down to two microns in thickness, can inspect up to one million points, and achieves throughputs of up to 55 300-mm wafers per hour. This combination of extremely high resolution and high throughput provides cost-efficient full-wafer inspection that enables device manufacturers to improve their wafer bonding and lithography processes, as well as achieve higher yields. The EVG®50 Automated Metrology System from EV Group performs high-throughput, high-resolution measurements of critical wafer bonding and lithography process parameters. The standalone EVG50 system was developed based on the company’s existing in-line metrology module (IMM), which is available as an option in EVG’s line of 300-mm process equipment and has been widely implemented in high-volume manufacturing. The EVG50 complements the company’s versatile EVG®40NT measurement system, which is the industry standard for bond overlay inspection, to meet increased customer demand for full-area layer thickness and topography measurement in critical applications. The EVG50’s high throughput and unparalleled accuracy and repeatability, even at ultra-high resolutions, enables cost-effective, 100-percent inspection of production wafers, resulting in improved process control. The EVG50’s versatility allows it to measure coating thickness for lithography as well as wafer bow and warpage, and make void inspections for a bonded wafer stack on the same system, while its low-contact edge handling enables particle-free, full-area wafer inspection. Another key benefit of the EVG50 is its flexibility. Leveraging a multi-sensor measurement mount, the system can be customized for different thickness ranges and substrates to address a wide variety of customer requirements. Its self-calibration capability also allows for better system reproducibility and productive uptime. Media, analysts and potential customers interested in learning more about EVG’s suite of metrology solutions, including the EVG50, are invited to visit the company’s booth #1017 in the South Hall of the Moscone Convention Center in San Francisco, Calif., at the SEMICON West show on July 12-14. More information and photos on EVG’s suite of metrology solutions, including the EVG50, can also be found athttp://www.evgroup.com/en/products/bonding/inspectionsystems/evg50/.